Edorble is a free, 3D virtual world platform for online classes and meetings. We've been busy getting some updates ready for the new school year, and we're excited to share them with you! These improvements have been at the top of the list of feature requests that we've been getting from beta testers, and they make Edorble a far more versatile platform for online classes and meetings. As always, we'll continue to improve Edorble based on the feedback we receive. To our early beta testers, we can't thank you enough for helping us make Edorble be the best it can be. So, what do we have for you? A gallery creator that lets users store and display permanent links in Edorble, support for virtual reality, teleportation, and more. Let's dive in. Teachers can now store content from the web on the screens in Edorble, and this content will stay there all the time unless it's modified. The possibilities here are endless. Teachers can create galleries of web-content that students can explore together whenever they want. Meeting hosts can gather and display content from the web before their 3D meetings to stay organized, present it during the meeting, and then leave the content there after the meeting for people to check out if they'd like to review it again. To let people store plenty of content on each screen, we've added buttons on the left of the browsers that people can drop additional links onto. That way it's easy to navigate between different, pre-stored items from within your 3D virtual world. Users can organize their content in Edorble itself, or from the web in their online dashboard by logging in to their accounts at edorble.com. This is a new feature, so please try it out and let us know if you run into any issues, or if you have any suggestions about how we can improve it. We know that as a 3D environment, Edorble is more immersive on virtual reality hardware. We've always imagined Edorble as a cross-platform online meeting space, where in the same world some users can be on PCs or Macs and others can be on virtual reality headsets, interacting together. This new release of Edorble is the first to have support for virtual reality, and we've started with the Oculus Rift. We started with Oculus for a few reasons. First, we think the Oculus Rift is an absolutely stunning virtual reality headset. We also think Facebook, the owner of Oculus, is firmly committed to the VR space and will continue to invest in and promote the VR ecosystem. 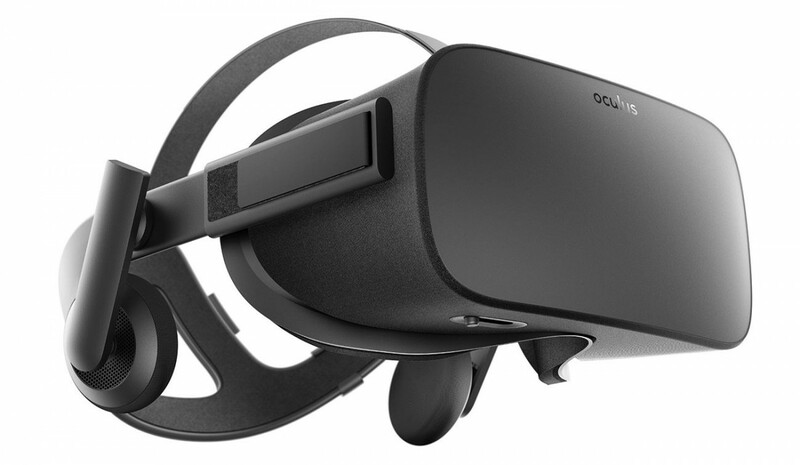 The Oculus Rift is a powerful piece of hardware, and as such it's expensive and requires a high-end PC in order to use. We think that this barrier will be less of an issue as computers continue to get faster and cheaper. That being said, we're also committed to developing Edorble for other, cheaper VR headsets, particularly ones that are powered by a smartphone, not a PC. We'll be developing next for the Samsung Gear VR headset, and for the Google Daydream VR system which will be on upcoming Android smartphones. There are a few other bells and whistles in this release that are worth a quick mention. Users can now move around in Edorble via teleportation, so in case you want to travel long distances quickly, you can simply right click on the destination of your choosing and violà, your avatar will teleport there! This is a feature we developed to make movement in VR easier, but it's convenient to have on PC/Mac as well. We are continuing to improve our avatars, and we have a few more customization options, and different models for our adult male and female avatar. We updated our opening screen so that it has both the avatar selection and the world code input field on the same screen, rather than having one come after the other. This is simply more convenient and makes the process of getting in Edorble a little faster.